The PRO-2310 delivers full 10-bit color at the pixel for accurate Grade I HD monitoring. Engineered specifically for versatile color-critical desktop, production and broadcast applications, the 23" full HD PRO-2310 outperforms similar monitors at twice the price! Utilizing a native 10 bit LCD panel, each pixel of an eCinema PRO-2310 LCD can simultaneously display any one of 1073 million (1.07 billion) colors per pixel for the most accurate color image display possible from an LCD. With 1024 luminance levels per channel vs. only 256 levels at 8-bits, our 10-bit LCD produces more accurate fine detail in the shadow areas of the image and more precise color detail with noticeably smoother transitions between colors, eliminating color banding and other artifacts. Expansion capabilities including 4:4:4, 3G, 3D LUTs, Waveform monitoring and more. Input-ready for up to four 4:2:2 sources (4:4:4 configuration accepts up to two dual link sources or four 3G sources). Planned enhancements include 2K monitoring modes and full 3D support for real-time 3D viewing using active glasses. Full resolution 10-bit color at the pixel is only possible if the video signal remains undiminished during processing. 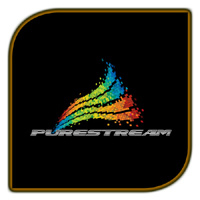 The PRO-2310 utilizes eCinema’s exclusive 48-bit PureStream™ Image Processor to eliminate image degradation and data loss thus ensuring that the input 10-bit signal is uncompromised throughout the entire data processing path. The result is pristine, accurate detail and color reproduction. Reference LCD monitors still require the ability to reproduce the image characteristics of a CRT when mastering video that will be viewed on interlaced televisions. Unlike simple black-frame insertion methods, eCinema’s iSIM Mode (Interlaced Simulation) uses high-rate 120hz scanning in concert with our proprietary Interlaced Display Emulation Algorithm (IDEA) to display an accurate simulation of interlaced video while minimizing the loss of luminance. SLS-01 Used to illuminate wall behind monitor in order to achive a calibrated surround illumination per SMPTE Critical Color Evaluation recommendations.